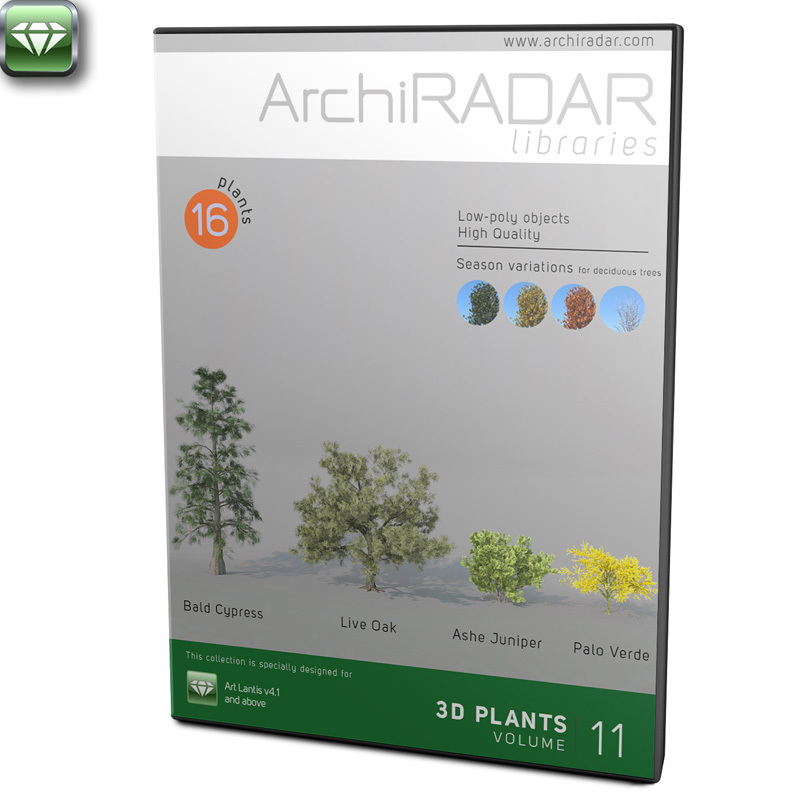 16 3D trees, in AOF e ATLO formats, compatibles with Artlantis 4.1 or higher. The models (not evergreen) are in 4 different season variations: spring, autumn, winter and bare tree (skeletal tree). Therefore, the package includes a total of 44 models.